Put water, butter, and salt in a saucepan over medium heat. When the butter has melted dump the flour in and stir vigorously until the mixture pulls away from the sides into a smooth ball. Transfer dough ball into a bowl or stand mixer and let sit for 2 minutes. Mix in eggs, one at a time, making sure they get absorbed into the dough. Fold in the grated cheese. 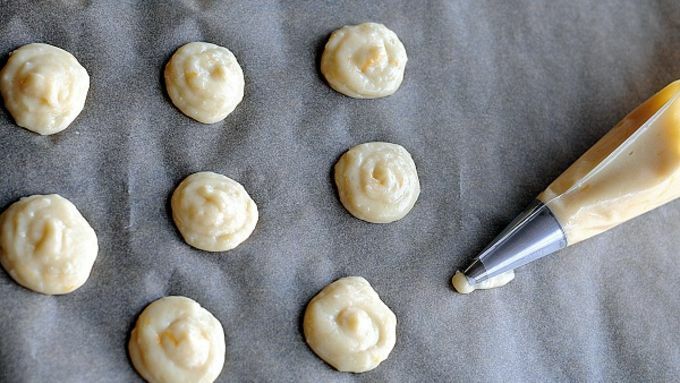 Place into a piping bag (or freezer bag with corner with small cut) and pipe onto a parchment paper lined baking sheet. Pipe them to about the size of a quarter. Bake for 9 minutes at 425°F. Then turn down to 375°F. Bake for another 15-20 minutes until golden brown. There is more than one Independence Day in the month of July. While there is the obvious 4th of July, which celebrates the United States independence, there is the lesser known Canada Day on July 1st. Even lesser known than that is Bastille Day on July 14th celebrating French Independence. I’m actually surprised more people don’t celebrate it as we here in the states are always looking for a reason to throw a party (Cinco de Mayo, St. Patrick’s Day, etc). I surely won’t be passing up the chance to celebrate Bastille Day! I’ve got my French 75 Champagne Cocktail and Cheese Gougeres (cheese puffs) all ready to go. What’s great about Bastille Day is that if you plan it right you can reuse your 4th of July décor. USA….red, white, and blue. France….red, white, and blue. 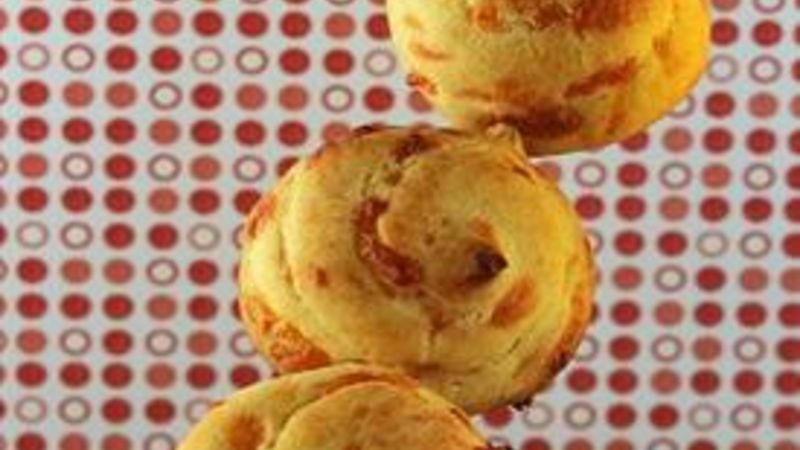 Back in the days when people threw dinner parties, Gougeres were all the rage. For those unfamiliar with them they are a savory version of a cream puff (minus the cream in the middle) usually with cheese and/or herbs in them. The key to making them is to have everything in place and measured out before you start. They can be a little intimidating, but even if yours don’t “puff” they still taste wonderful all the same. Now, go get your French on!